Linda is willing to assist with any situation at Paul Banks—including math centers, evening events, reading centers, art projects, and implementation of interventions. Linda has taken time to learn the Handwriting Without Tears Program and Read Naturally Program so that she can support teachers in the classrooms implementing these two important programs. She will take projects home to prepare them for instruction. Linda is a talented musician and will learn educational songs and teach them to the students. An example of this is teaching students a clock song she learned on the ukulele. She is equally present to assist students with special needs, and offer enrichment for other students. She loves to learn and shares this passion with the students and staff of Paul Banks. Every day it is evident how much she cares about all of the staff and students of Paul Banks. Over the years, Paul Banks has had situations where support was needed and the school needed help providing it. Grandma Reinhart will step into a classroom to help with students that need extra support or spend time reading with students who don’t get the opportunity to do so at home. When a student is in need of love or attention, she is there. Linda is an active member in the community. She assisted with sewing costumes for countless school plays, for students in schools from McNeil Canyon to Homer High School. 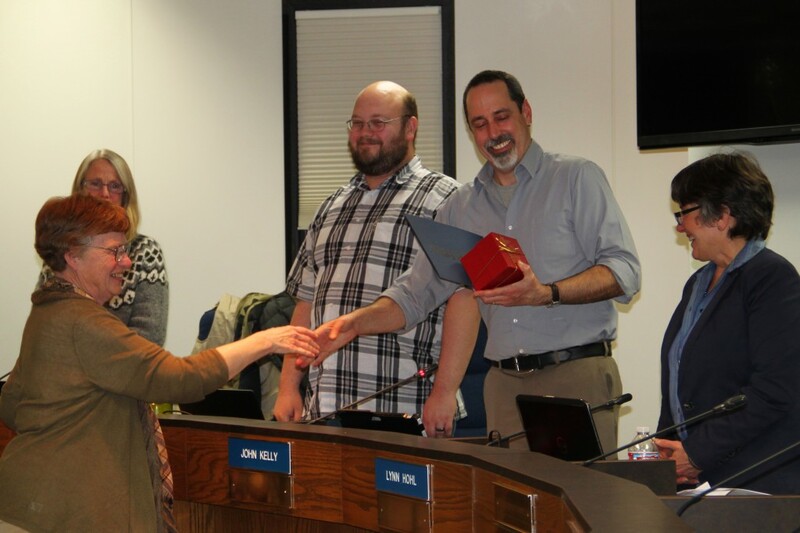 She is passionate about making music and orchestra available and accessible to all the children in our community, and has been a key leader in the Kenai Peninsula Orchestra, the Homer Youth Symphony, and several years of Link-Up programs, which provide supplemental music instruction to entire schools. 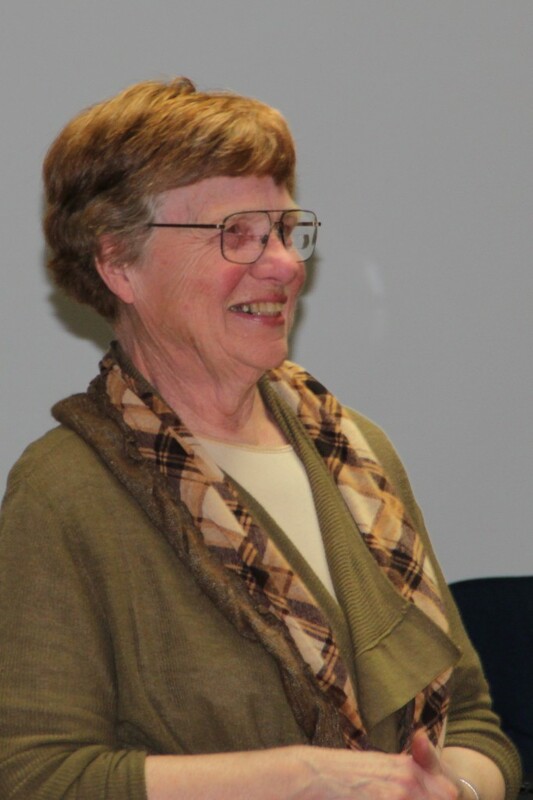 Paul Banks is a better school because of Linda “Grandma” Reinhart. Most students call her Grandma Reinhart, and some even insist that she must really be their grandma, because they see her at school all the time. This spring she will be 80 years young and the students and staff of Paul Banks think they are lucky to have her consistent, quality, caring support! 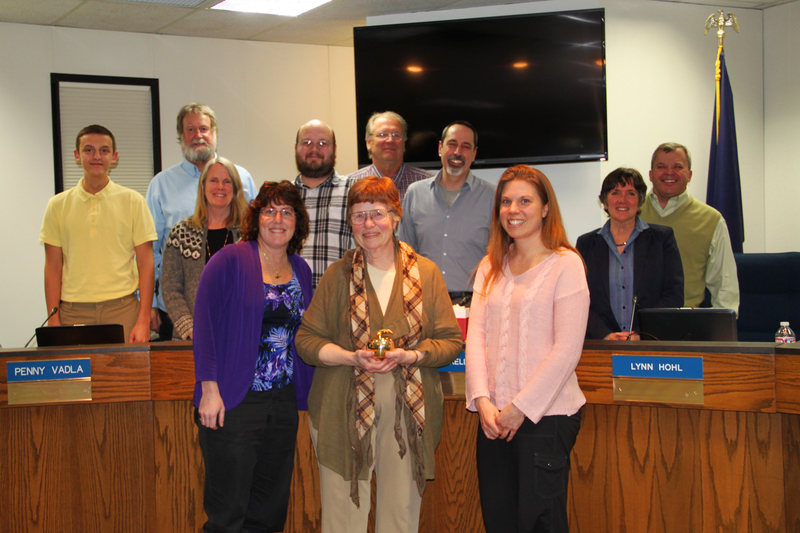 The Kenai Peninsula Borough School District Board of Education is proud to recognize Linda “Grandma” Reinhart for her dedication to the students of the school district, past, present, and future. This entry was posted on March 7, 2016 at 7:02 pm. You can follow any responses to this entry through the RSS 2.0 feed. You can skip to the end and leave a response. Pinging is currently not allowed. 3 Responses to "Linda Grandma Reinhart receives Golden Apple award"
The award is so well deserved. A humble servant who respects children, teachers and the community. We respect Linda and realize that in her hard work and humility she has moved mountains. It makes me smile tonthinknof her spirit with children. Fantastic! Linda, You deserve it!! The one’s who got her as mom were even more lucky! The only one more lucky was her husband.